Are you out of games? Keep an eye on these AR games coming out! I love trying new games coming out, specially we all fell in love with pokemon GO’s AR feature. What other AR games are worth trying and what are complete frauds? Looking through AR category in app store, first up is Jurassic World alive, which is a location based the Dinosaur exploring game. You collect extinct dinosaur DNAs to level up and create hybrid dinosaurs. Player will enjoy collecting, creating, battling and leveling up features. AR features? Jurassic world alive lets you fly a “drone” to collect nearby dinosaurs. So you can play the game without AR. But if you really want to associate the game with AR, you can release your dinosaurs and view them in augmented reality. Snap a picture of the dinosaur next to your dog, share it, how cute. Mossland is one of the location based AR games that gets me really excited. 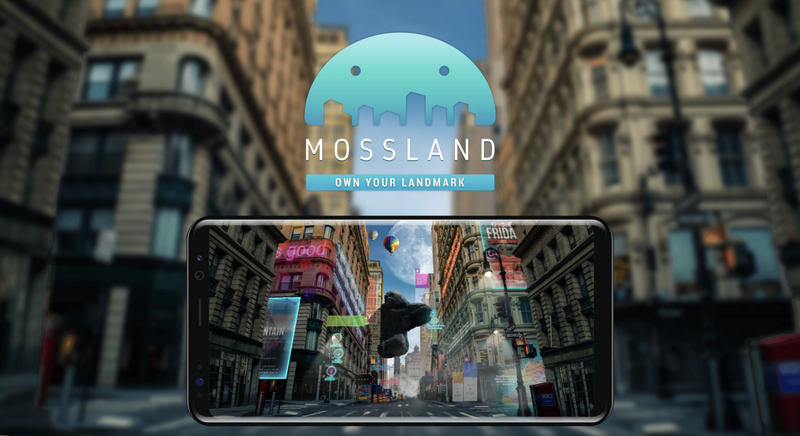 Mossland is a blockchain powered monopoly game, where you can buy and trade virtual ownership of landmarks and real-estates with Moss Coin. It is one of the very few blockchain integrated location based AR games. AR features? Mossland hasn’t launch yet. But their shows a heavy amount of AR. Yeay! I am excited. Alien robot exploring our world themed AR game, sounds fun! In SAVR you will explore our city in AR by walking around to collect real life cool swags, food and drinks at the most authentic and cool spot in each neighborhood. Do you know your city better than your best friend does? Look at the progress bar on SAVR! What else is better than exploring a city with free food and drinks everywhere you go? SAVR will first launch this November in Miami. AR features: You will see every feature cool spots’, food and drinks in AR! How great is that? Let’s give it a try. Harry Potter: Wizard Unite also often known as the Harry Potter Go is brought to you by Ninatic (The makers of Pokemon Go) and WB games San Francisco. Buzz words have been going around for a year now, the Harry Potter Go still hasn’t confirmed a release date yet. But I already signed UP. YES, this is how excited I am. The magic will be reveal all around us in augmented reality. Players will experience their own journey on learning magic spells and level up to face magical creatures. AR features: There hasn’t been enough information on the amount of AR interactions in the game. But it should be safe to assume Harry Potter: Wizard United should be similar to Pokemon Go. PreviousPrevious post:Ultra Miami 2019 Ticket Scavenger Hunt Guide, Dos and Don’tsNextNext post:Miami Outdoors, What is there to do that’s not the beach?